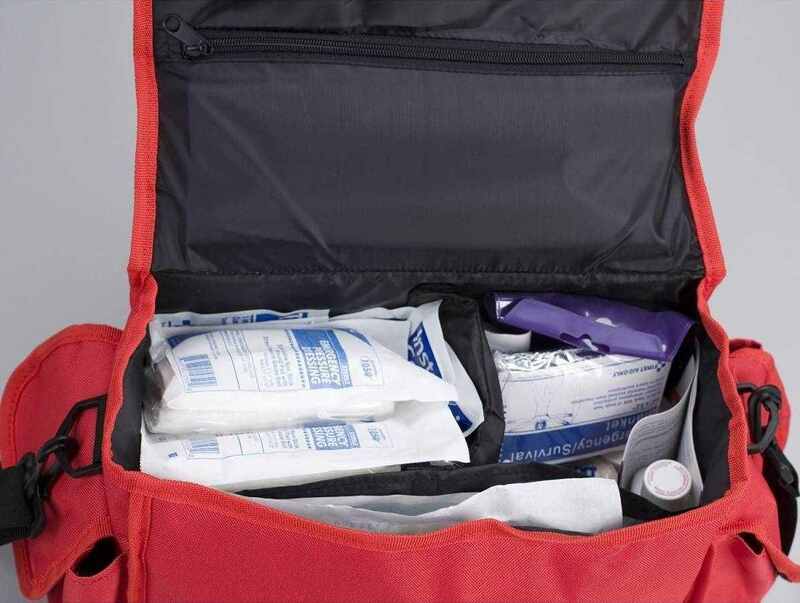 This comprehensive responder kit contains the essential first aid supplies you need in a medical emergency. This 100 denier cordura semi-rigid bag features a handle, shoulder strap and side pockets. Main compartment has removable divider & pocket, lid has zippered pouch, buckle closure and business card holder. 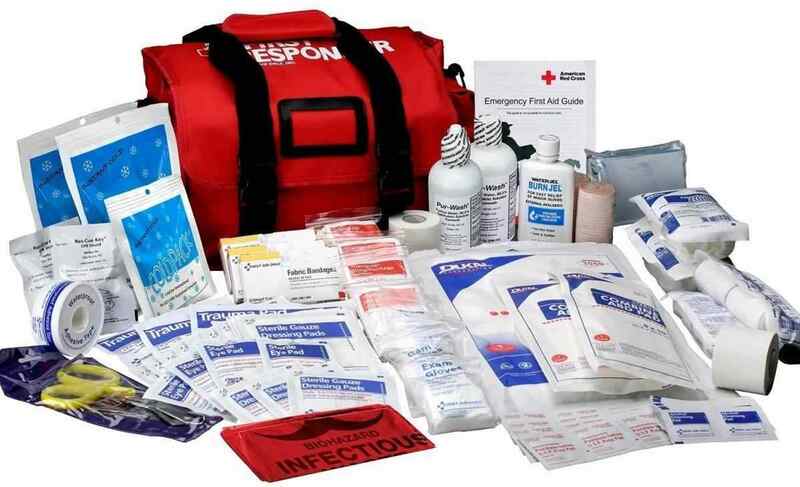 Kit includes CPR devices, dressings, bandages, tapes, biohazard bags, gloves and more. Plus, there's still room for your own personal medical supplies. 158pc. 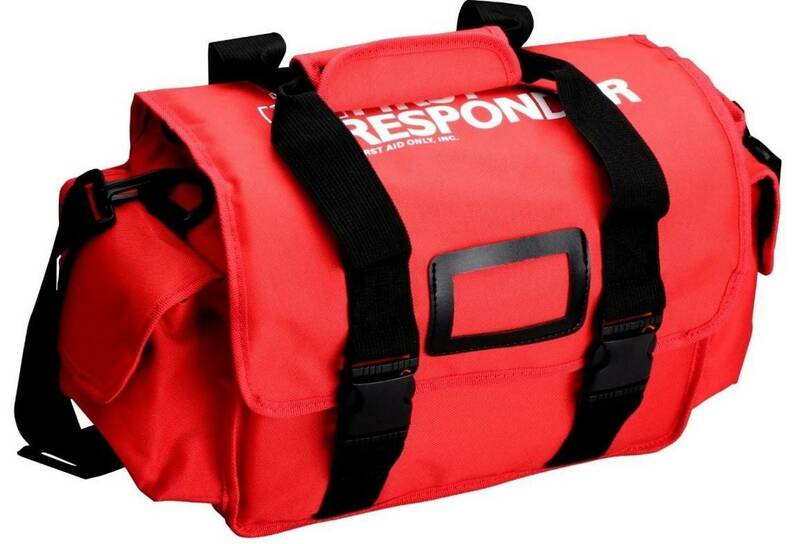 comprehensive responder kit contains essential first aid supplies needed in a medical emergency. (3) 1"x3" Fabric bandages, 16/box. (6) 3"x3" Gauze dressing pads, (3) 2-pks. (20) 4"x4" Gauze dressing pads, (10) 2-pks. (2) 4" Conforming gauze roll bandages. (1) 6" Conforming gauze roll bandage. (4) 36" Triangular sling/bandage, w/2 safety pins. (2) 3"x5 yd. Latex free elastic bandages. (1) Burn relief, 4 oz. plastic squeeze bottle. (1) 24"x24" Biohazard bag, 10 gallon capacity. (2) CPR one-way valve face shields, latex free. (8) Exam quality vinyl gloves, 4 pairs.